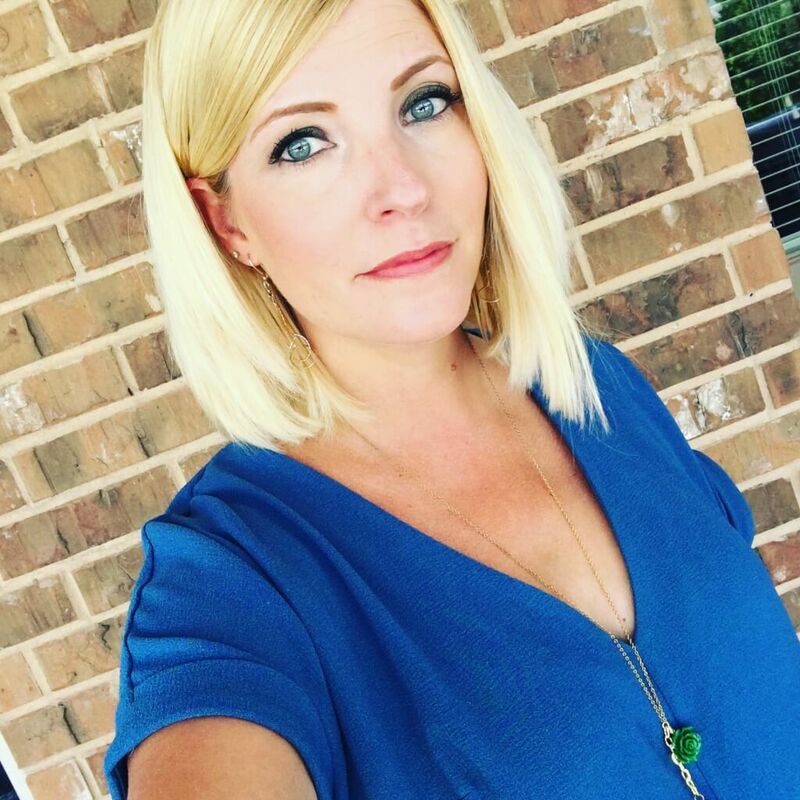 I discovered another cool thrift shop in Houston, The Flamingos Thrift Store! I went there last week with my friend Elisa and found a thrifting first!! 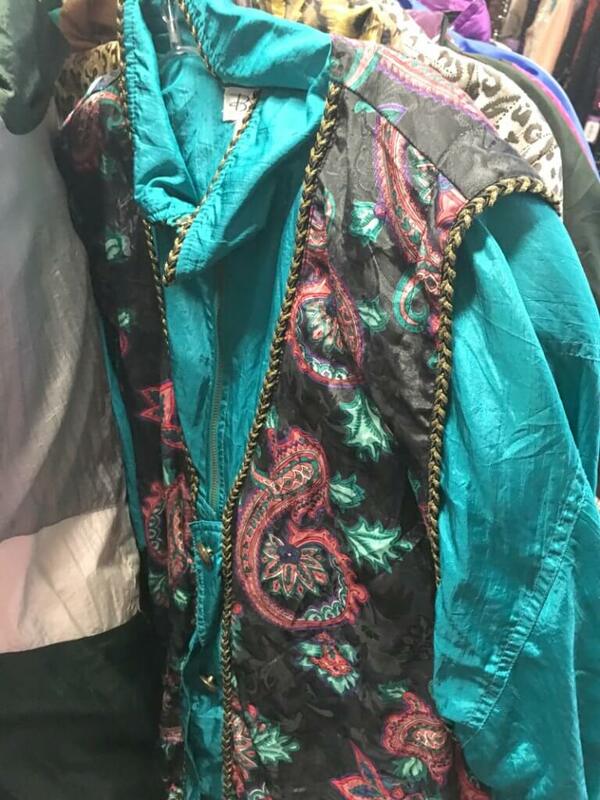 Vintage clothing BY THE POUND! 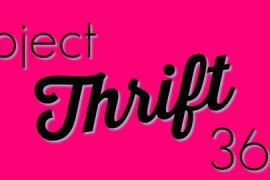 Elisa and I had originally planned to go to the August “thrift store of the month” but since it was a little far for the time we had available, we looked for a nearby alternate and decided on The Flamingos Thrift Store. 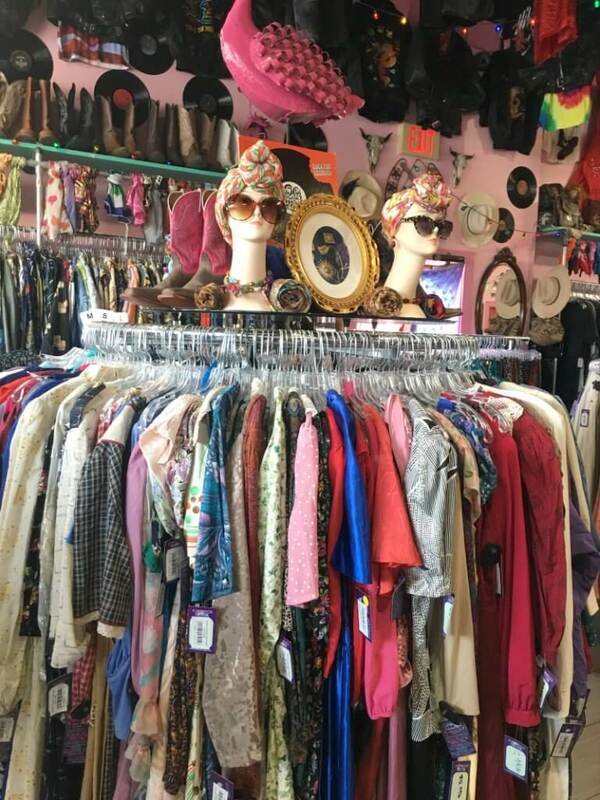 I literally knew nothing about this thrift shop so was surprised to discover that it’s a vintage-lovers paradise! 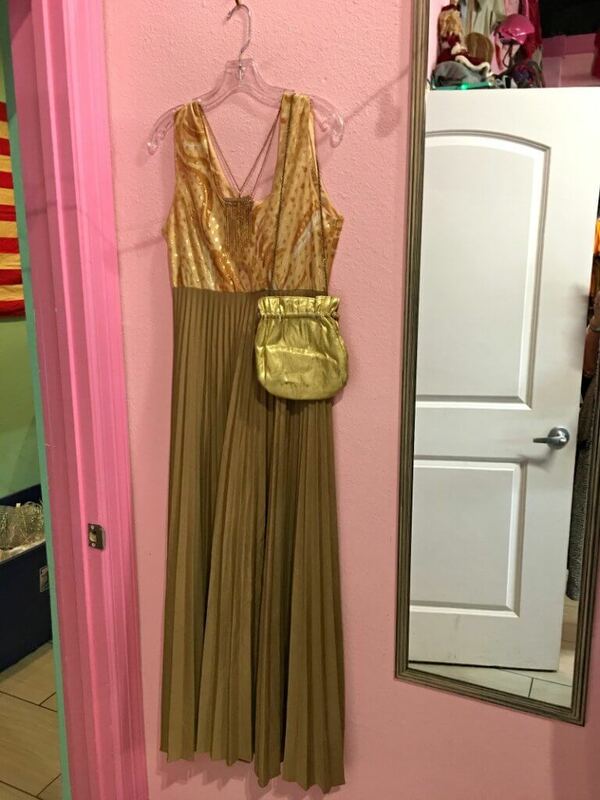 There were racks and racks of vintage pieces with one flat price of $12.99 per pound! Cool decor throughout the whole store! 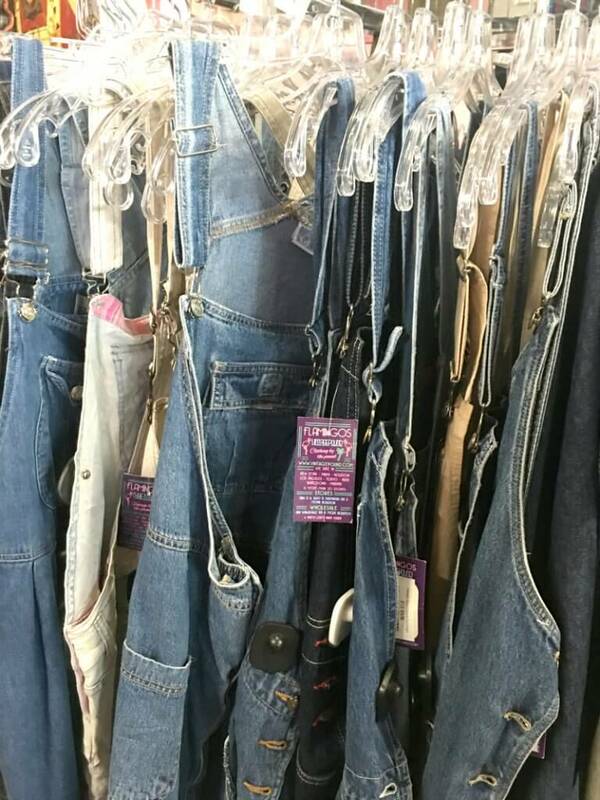 If you’ve admired MY overalls and want your own, Flamingo Thrift Store is the place to find them! 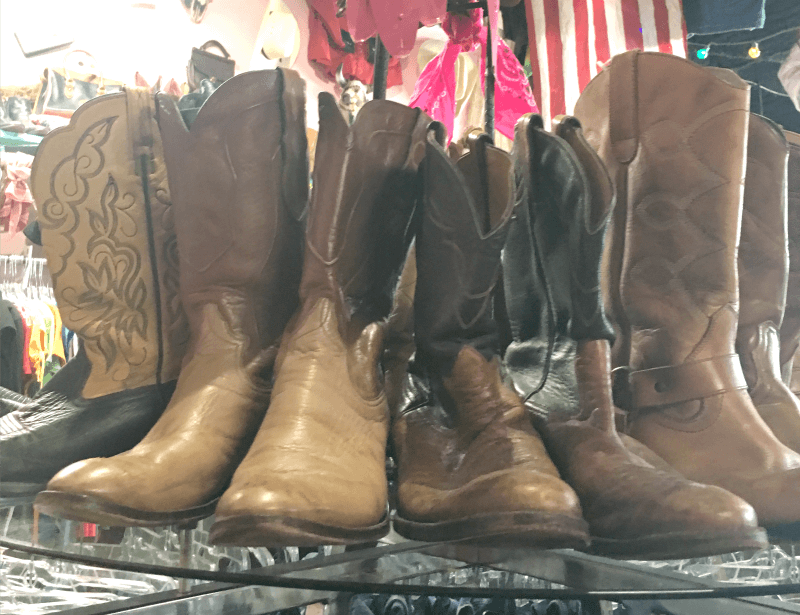 And cowboy boots (not the drinking kind)! 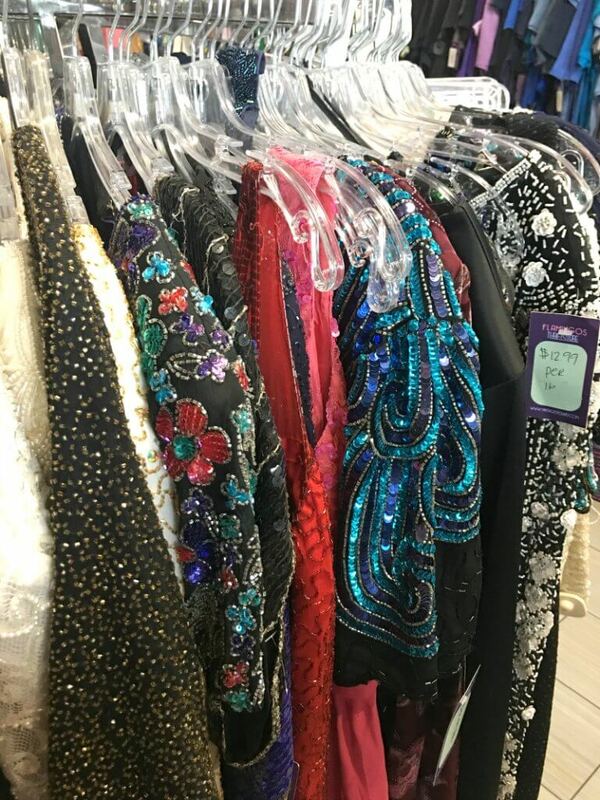 All things vintage, sequinned and sparkly! 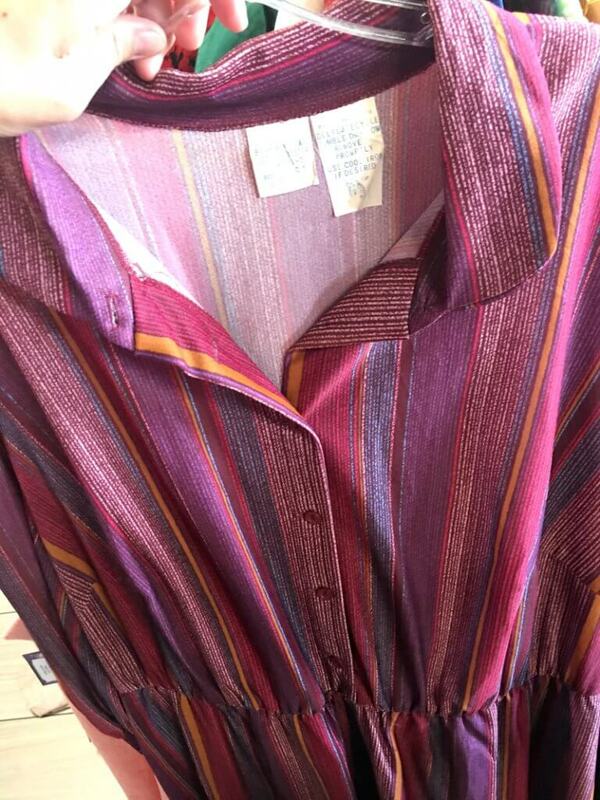 So many vintage men’s shirts! Elisa and I did wish the scarves were displayed differently so we could touch them and look at them better. Oh my. Some things are better left in the past. 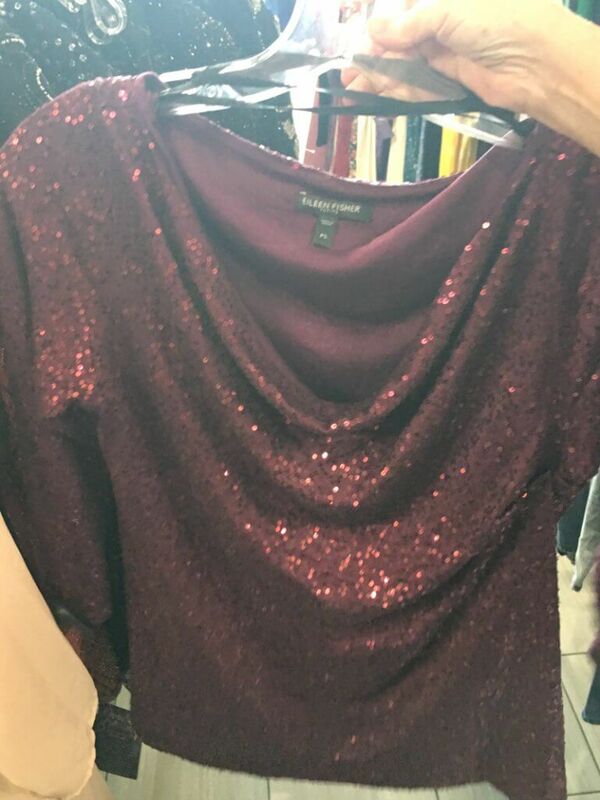 Is this vintage Eileen Fisher or just sparkly? 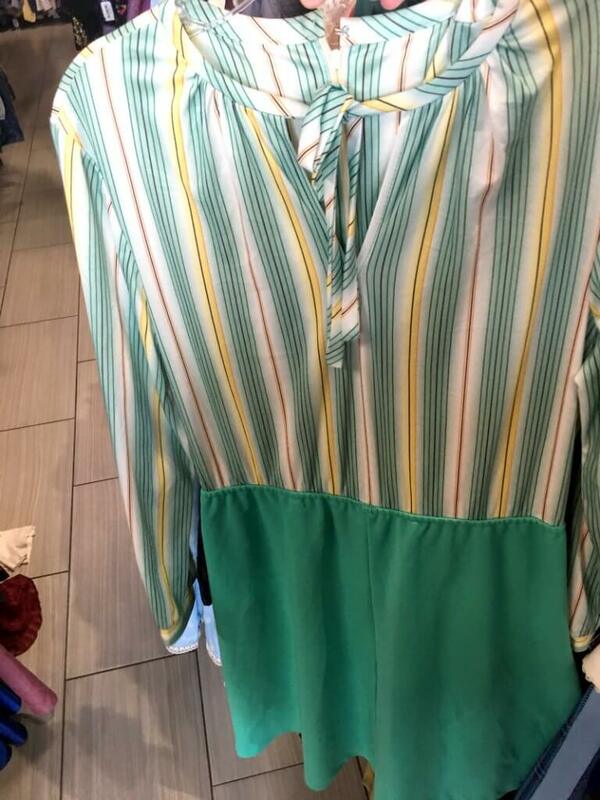 Too small for me but a good find for someone! The decor was very cool! I loved it and would have spent more time looking around if weren’t for the very loud very hip music. My 70-something year old friend and I did NOT enjoy the volume. At this point, I still wasn’t really sure how the “by the pound” pricing would go. 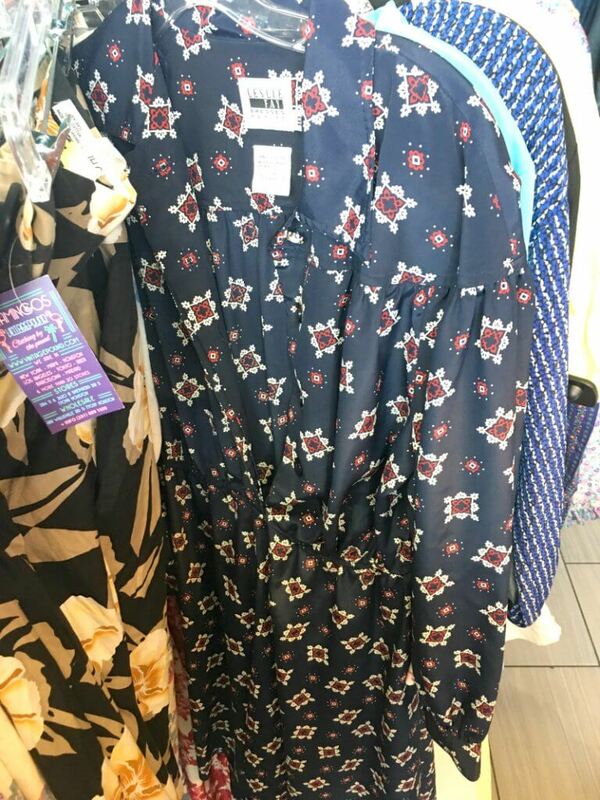 I had in mind that I would not pay more than $10 for the dress; if you go, and find the price is higher than you’re comfortable with, don’t be afraid to make a till-side decision to put the item back. 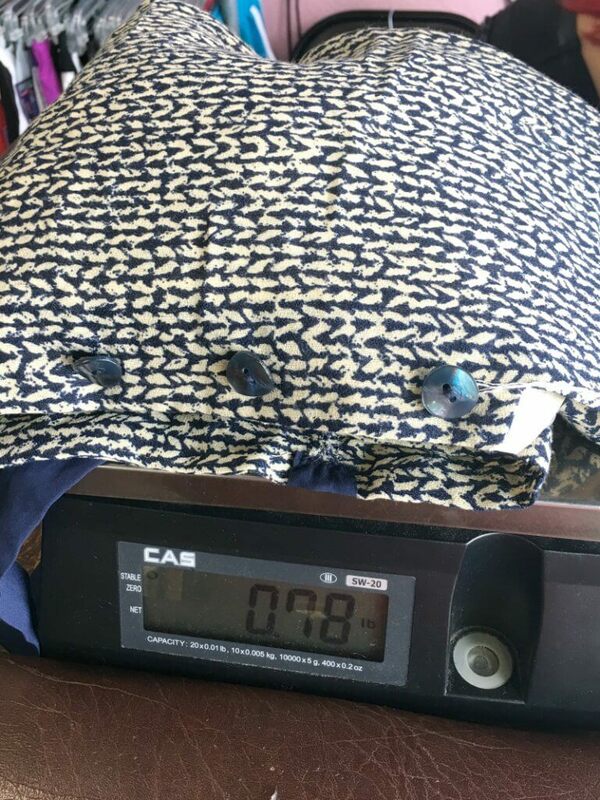 My dress came off a $9.99/lb rack so it worked out to $8.43! 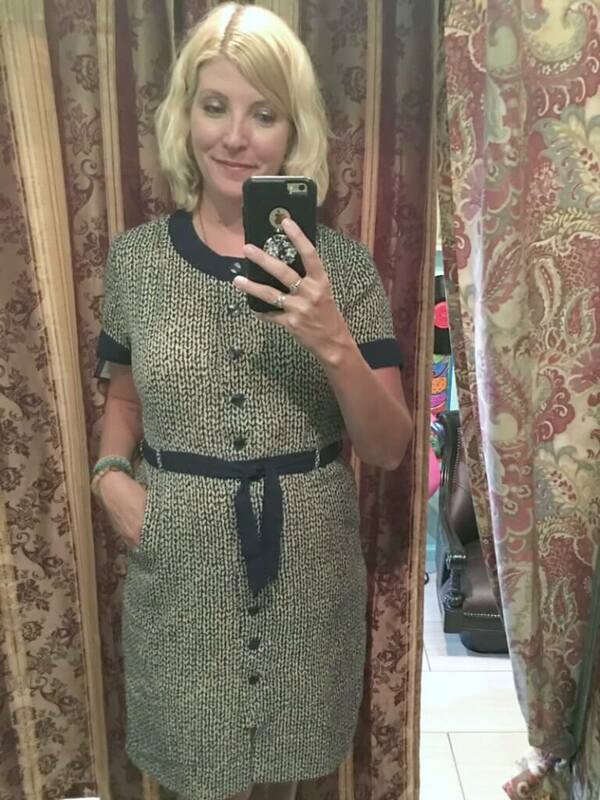 Most specialty vintage shops I’ve been in have had much higher prices so Flamingos was a pleasant surprise. 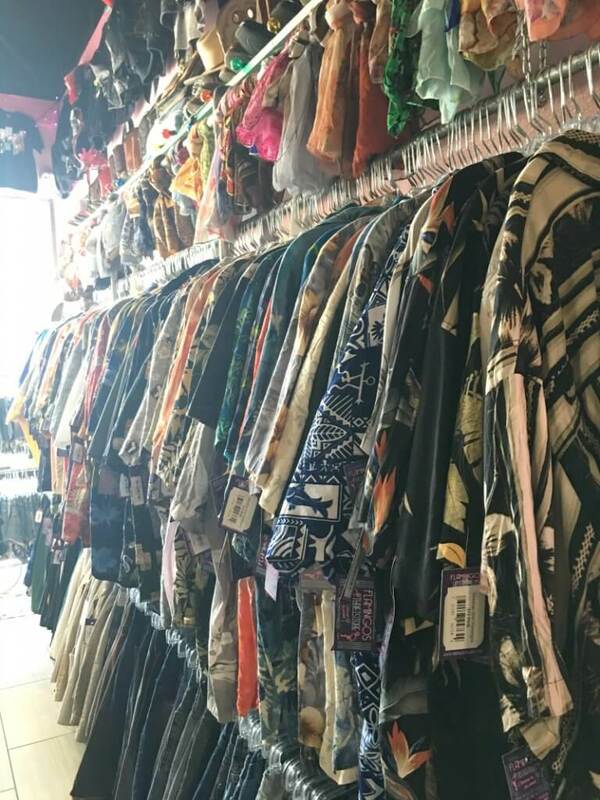 There were also racks with non-vintage items at fixed prices, e.g., skirts for $10. 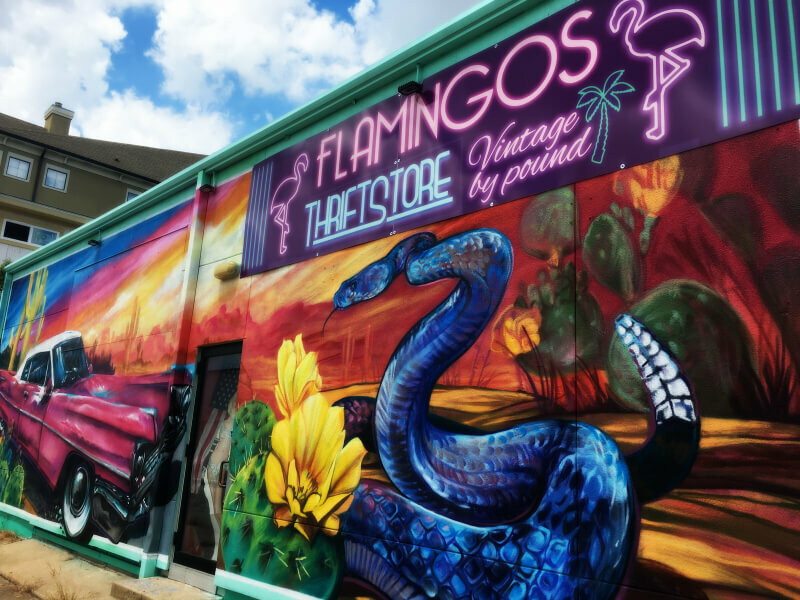 Flamingos has a little something for everyone! 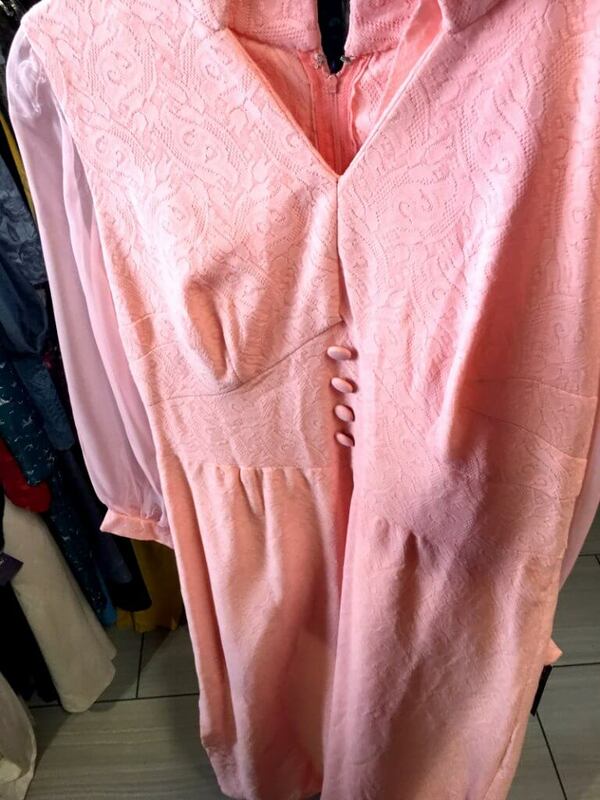 I love vintage clothing but I do think folks who were old enough to wear the original item have to be a bit careful! The rest of our style game needs to jive or we end up looking dated rather than retro! 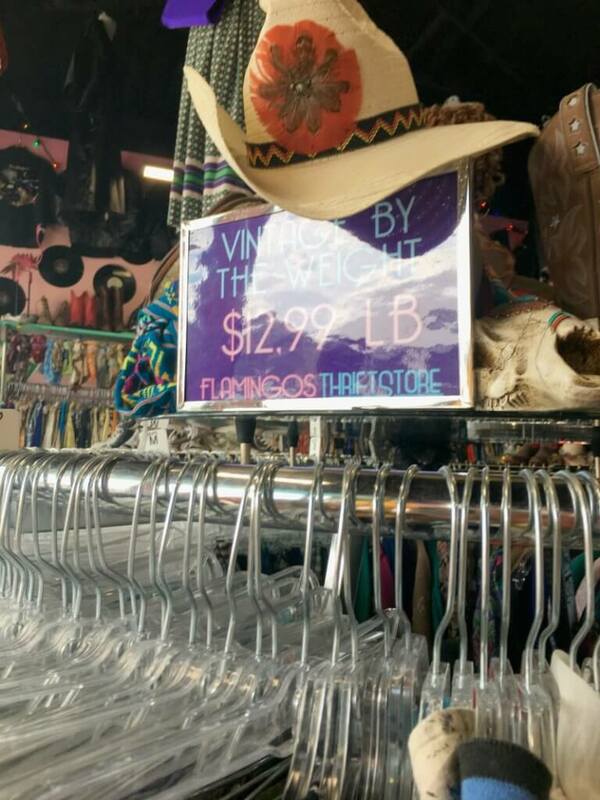 That being said, I now know where I can go to find vintage pieces at a great price: The Flamingos Thrift Store! Thank you and great suggestion! I will have to put in my earphones and spend some more time combing the racks! They have multiple locations too.